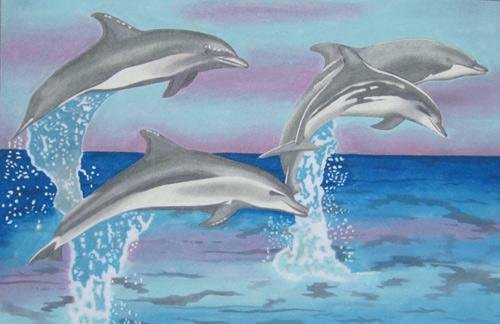 This playful dolphins picture is printed on Non-Woven material and this new larger A1 size measures 52 x 76cm. Requires ball-point colours: 1, 23, 24, 25, 43, 75. Enjoy painting by simply following the colour chart provided. Place a blotter sheet (1632) underneath whilst painting to absorb the paint.